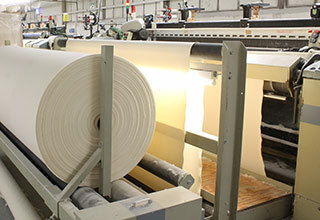 Short lengths of wrapper fabric used to provide bedding material between the cylinder cover and the wrapper. Assists in even steam distribution and increasing the lifespan of the main wrapper. Typically bedding is changed twice as often as the main wrapper fabric.